A diverse creator, Hin works in street art, painting, sculpture, illustration & animation. He creates satirical, child like paintings filled with thought-provoking messages about the world today. From politics and war to society and popular culture. 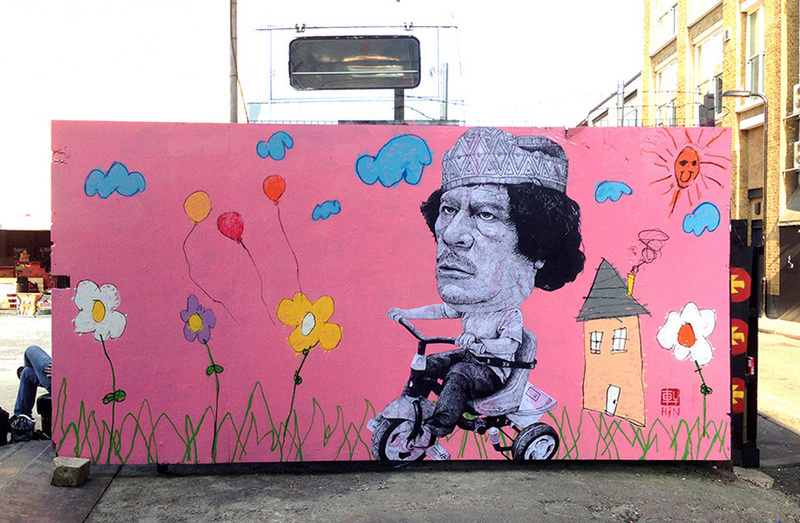 Hin’s art speaks volumes as he stamps his supersized paste ups across London. These powerful images will make you smile as he brings to life world of politics with a satirical twist. Hin has exhibited in cities such as London, Miami, Bucharest, Brussels and Hong Kong.